Congratulations! 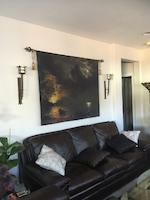 Your marvelous art has been featured on the Home Page of the ABC Group. This art has been selected from the ABC Group's S IS FOR SINGLE ITEM themed week. You are invited to add this to the features archive discussions and in another discussion in ABC Group! 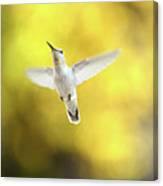 Lynn, Congratulations, your exceptional photographic artwork has been featured in our group, Artistic Photography! You are invited to archive it in the Featured Work Part II discussion thread for more visibility. Randy...Thank you so much for the wonderful feature in the WFS group!! I appreciate it so much! Wow - such a wonderful photo! You were so lucky to see and capture this beauty on film. 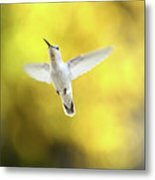 LEUCISTIC HUMMINGBIRD by Lynn Bauer - A rare near-white hummingbird hovers against yellow bokeh created by the blurring fall leaves in the background. this is a rare sighting, and one that I was so pleased to be able to capture. 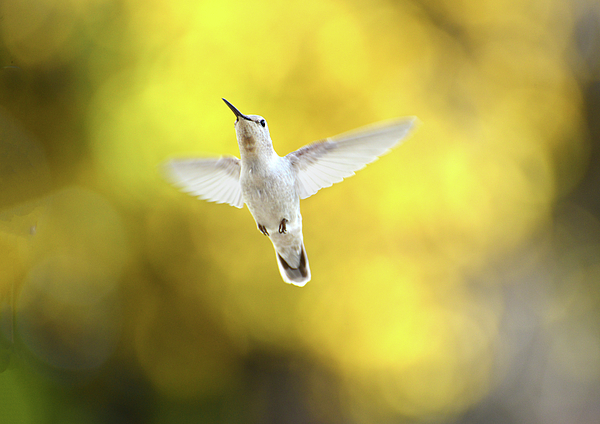 I believe this is a luecistic Anna's hummingbird. 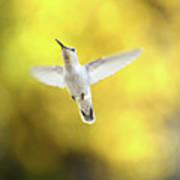 Luecistic hummingbirds are similar to albino hummingbirds as they are missing the normal color pigments in their feathers. The difference being that albinos will have pink eyes, beaks and feet. But, luecistic's eyes, beaks and feet remain black. I have taken thousands upon thousands of pictures of hummingbirds over the years, and this is the first luecistic hummingbird i have encountered! Taken in a back yard garden in Southern California.